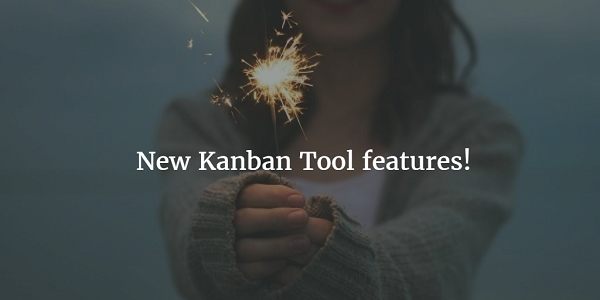 If you're a frequent Microsoft Excel user, but you'd still like to be able to visualize your work on a Kanban board, we have prepared a fantastic Excel macro, which will help you create Kanban Tool tasks directly from Excel. Find out more here. Want to make the card fonts larger? For a long time it has been possible to enlarge fonts with Developer Tools, but it has now become accessible directly from the Custom Theme Power-up. Now all your board design features are in one place. Visit this page to learn more about changing your board looks. Finally - you can now check how much time each of the team members have spent on a particular task. Open the Time log to see user-specific time entries for the people involved in this task. Enjoy!